Burgers are on trend across pubs, clubs and cafes. Offering different ideas to your customer can make your venue stand out. Using HELLMANN'S Mayonnaise as the base for your tartare sauce will make sure this burger stands out from the crowd. Grill the buns, place tartare sauce on bun then place the lettuce, onion, fish, tartare sauce, jalapeno and top with bun, serve with beer battered fries. 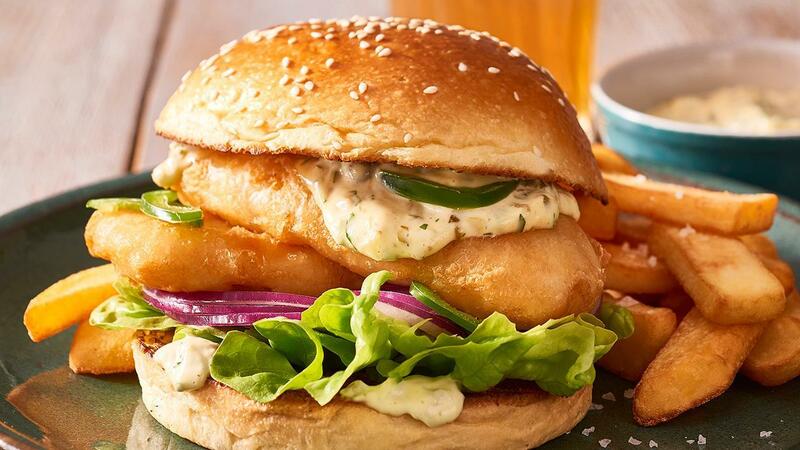 Use a battered fish as opposed to crumbed for this burger. To save time you can substitute HELLMANN'S Tartare Sauce.